Richmond HD Video Crew Hangs out with the Big Dogs… For Animal Planet! 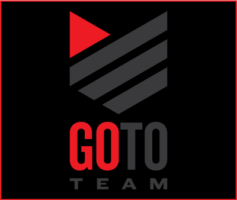 Go To Team Elite Camera Crew & Video Production Crew | Richmond HD Video Crew Hangs out with the Big Dogs… For Animal Planet! I’m a dog guy. So when Animal Planet called Go To Team’s Richmond based video crew to shoot high definition footage of Anatolian Shepherd Dogs and their trainer for the AKC/Eukanuba National Championship my ears perked up. 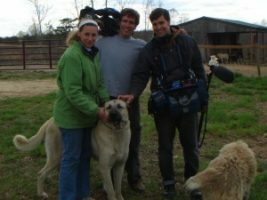 Cameraman Nick Modisett and audio operator Jesse Clark traveled to a remote goat farm outside of Charlottesville, Virginia where the big doggies lived and worked. Anatolian Shepherds are born with the instinct to guard livestock and it was amazing to witness how these dogs took care of all the other animals on the farm. The dogs even clean the baby goats as if they were their own! The AKC/Eukanuba National Championship premiers Saturday, January 31 on Animal Planet. Go ahead and set your DVR!